Shots and Thoughts: Latest Photos by Dave Wolanski: Taylor Rose is 2 days old! A C-section baby, she doesn't have that space alien head thing going on! 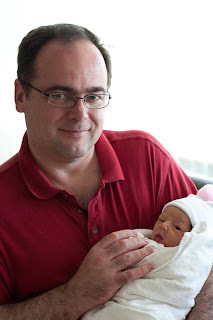 Nice image of the newborn and her daddy. All natural light. I loved the light on Taylor's face. She was awake for most of our visit today!